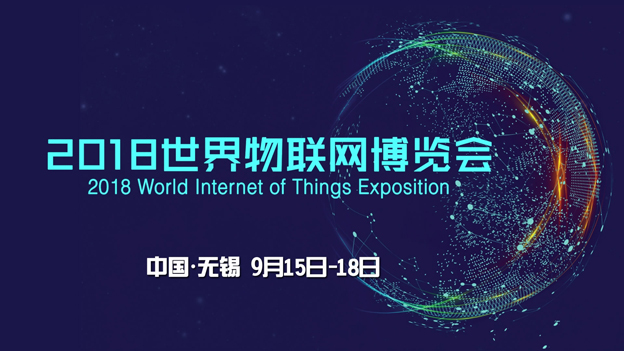 The 2018 World Internet of Things Exposition is being held at the Wuxi Taihu International Expo Center in Wuxi, Jiangsu province, from September 15 to 18. The IoT expo offers new experiences in areas including intelligent driving, shopping, catering, agriculture and healthcare. The LTE-V2X, the world’s first citywide car networking application system, is showcasing the concept of intelligent traffic. The V2X, short of vehicle to everything, covers vehicle-to-vehicle, vehicle-to-infrastructure, vehicle-to- internet and vehicle-to-pedestrian communications. The LTE-V2X also plays an important role in automatic driving. By analyzing real-time traffic information, the system can choose the best driving route automatically, reducing traffic congestion dramatically. Sensors can perceive the vehicle’s surroundings and react swiftly to avoid road accidents as much as possible. During the Expo, Wuxi launched a car networking system covering 226 intersections and five elevated highways across the city, aiming to serve 100,000 vehicles. of autonomous vehicles. The base is the first and only one of its kind initiated by the Ministry of Public Security so far. Unveiled in August last year, the testing base will cover more than 138,600 square meters upon completion at the end of 2019. The closed road for testing will be 3.53 kilometers and at least 150 different driving scenarios are included in the testing base. Total investment is about CNY1 billion. SAIC Motor and Audi China were granted testing licenses for their autonomous cars. Audi China will set up a center in Wuxi in the first quarter next year to conduct research and development as well as testing. BMW and Daimler previously already obtained licenses issued by the municipal governments of Shanghai and Beijing respectively. An unmanned supermarket developed by China Telecom and convenience store chain Lawson is another highlight of the Expo. In the supermarket, customers can pay for goods by scanning their faces, with a half price discount included courtesy of China Telecom. According to the organizing committee of the 2018 World IoT Expo, more than 450 enterprises are taking part in the event, among which 35 are Fortune Global 500 companies. A record 180,000 visitors are expected to attend this year’s Expo. Dozens of high-level forums, discussing intelligent manufacturing, the industrial internet, artificial intelligence, big data, IoT information security, intelligent agriculture and intelligent environmental protection, will be held at the expo. Currently, more than 1,000 IoT companies have settled in Wuxi’s High-tech District, which cover all the sectors of the IoT industry chain, including semiconductor chips, cloud computing and big data, the China Daily reports. A recent report from market consultancy IDC predicted that China will become the world’s largest Internet of Things (IoT) market by 2022. The IoT market in China was already worth more than CNY1 trillion last year, and is expected to maintain rapid growth in the next few years. Smart cities, the industrial IoT, internet of vehicles and the smart home have emerged as the major four market segments. Gartner estimated that 8.4 billion connected devices were in use globally in 2017, with a 31% increase year-on-year.